I know a lot of you are back at work today, which is a shame as conditions are near perfect on Chesil. Quite a few people got out on the beach yesterday and caught lots of fish. Mostly Pout and Dogfish, but there were certainly some Cod and large Conger amongst the catches. Confirmed reports from the tackle shop at Abbotsbury indicate that it was a good day for some yesterday with a 10lb and 17lb fish weighed in. It would seem that most of the Cod came from the Western end of the Beach. Seaton also produced plenty of Pout and Codling during the day. A friend of mine fished the Landing Craft and was kept busy all day with Pout and Dogfish, but went on to lose his second Conger in 2 sessions. He fought the 5ft plus fish for 15 minutes before the line broke. The angler next to him did land a smaller Conger. Chesil Beach: The water is very coloured, but the waves have reduced to only just over 1m, making conditions good. Portland: Coloured water with a 1.5m swell. Weymouth Bay: Calm but coloured and lots of freshwater coming out of the harbour. 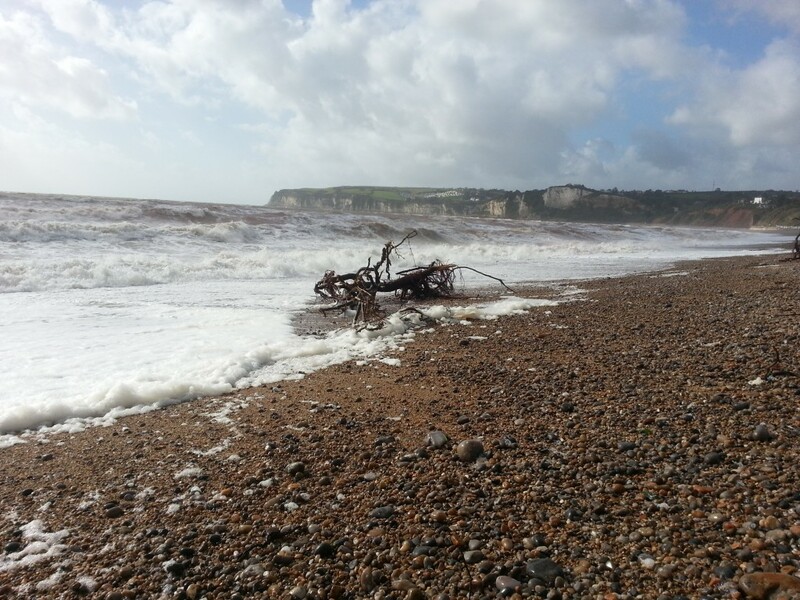 Chesil Beach forecast: The beach just screams Cod at the moment. I am pretty certain you are likely to pick up a Bass as well if you fish in close. Large baits are essential in the heavily coloured water. The best baits will be live Peeler or Hermit if you can get it, closely followed by Lugworm and Squid cocktails. Use Pennel rigs with worms in the hope of picking up a small pout or Whiting that will then become a live bait. Portland: Fishing on the West side of the island and around the Bill is still going to be difficult, but with care you should be able to fish from some of the higher ledges for Bass, Pollock and Bull Huss. Big baits and rotten bottom rigs are essential. Portland Harbour: Flounder and Bass are likely to be in the harbour, but as the tide starts to head towards neap’s the Bass will disappear. Seaton and Charmouth: Plenty of opportunity to take a Cod or even a Bass in the coloured water on both of these marks. Reports from one of my sources indicates that Seaton fished very well yesterday. Poole Harbour: It has fished a bit better over the past couple of days than it did during most of the Christmas holiday period. Use Ragworm for Flounder and the odd Bass that is still around. One Response to "Catch report & fishing forecast for Dorset including Chesil Beach, Portland & Weymouth. 2nd January 2013"
Tried to fish west bexington but impossible due to dog walker all over the beach.